We all make mistakes and when starting a blog, there are a lot of opportunities to do just that. 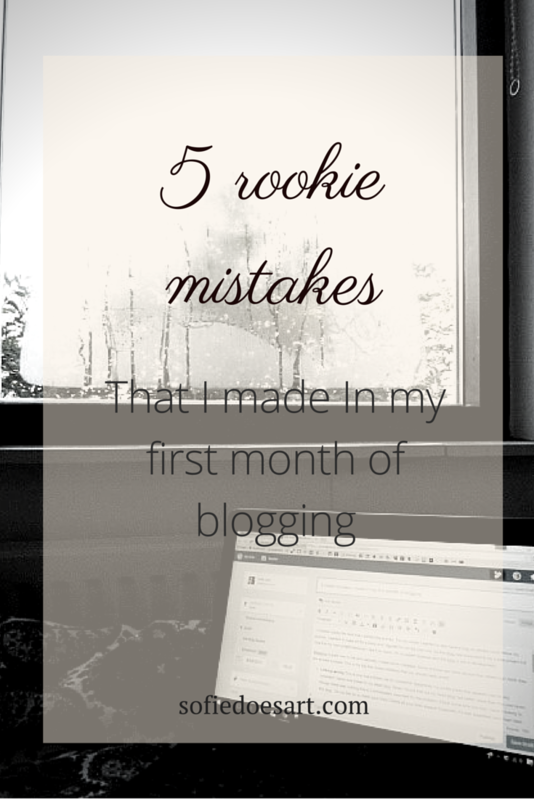 But if you want to look good and professional from the start try to avoid these 5 mistakes I made in my first month of blogging. 1 October marks the date that I started this journey. you can check out the first two weeks here. For my career, I wanted to also have a blog so people could follow my journey. I want to make art for a living and I figured I’m not the only one. This blog was supposed to be a side project but now it is my main project because I like it so much. I’m no expert however and this blog is still in development. Blogging is quite new to me and naturally I made some mistakes. Some of those are more serious than others but I think they are all best avoided. This is one that irritated me for some time! Apparently, my profile photo that appears next to any comment I leave was linked to my dead blog. When I found that out my dead blog had better views than this one (even though there was nothing there)I immediately searched for the problem. It took some time but now I have it linking to this blog. So my first tip is “check your links!” Check all your links always! Especially if it was supposed your main lead. AAAAHHH So just hear me out. When you start a blog a free blog seems a good idea. If you want to use it for your business, DON’T DO THAT. I hosted this blog on WordPress.com and recently I even made it into a custom domain. I was planning on adding wordpressAdd to my blog for some side income but they are redoing the system so I can’t do that. When I wanted to change hosts (to the same host my site is on) I found that after domain registration you have to wait two months before you can move your domain! Go with self-hosting from the beginning! It is something that is said by all the main bloggers! …and now I know why. I’m not saying I should have had my whole brand figured out, but I should have kept more of a theme. I think that choosing one main colour to stick to would be great until you have your brand colours figured out. I do have my brand colours now and I can’t wait to use and show them and introduce you to my finished brand. Lots of people like things on time when they expect them. Blog posts are one of those things. Personally, I just posted when I felt like it in the beginning. it still didn’t give a time for people to check in. So now I have an actual blogging schedule with time and days. I post every Monday, Wednesday and Friday and I try to get my blog posts up before midday local time. Since I started this I have written more and better and my pageviews increased as well. Overall I think that the most important part is to read some things about blogging if you want to start a serious blog and to just have fun. If you don’t have a subject that you are passionate about then it’s hard to keep up with a blogging schedule. Also, These are things that I deem mistakes for my blog so if this work for you that is absolutely fine and great. Here are some “tips for encouragement” to balance it out! I’m going to make another blog post about great resources for when you want to start a blog and do let me know if you want one about starting a creative business. Thank you for reading and please do let me know if you’ve made any of these mistakes. Also, If you have any other tips or mistakes to avoid do let me know. This week marks my one year anniversary for blogging, and I’m doing posts this week dedicated to blogging (i.e. 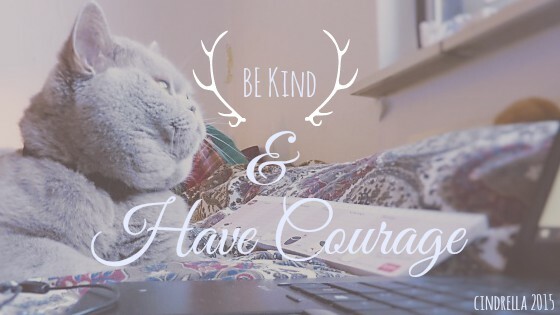 What I learned, Blogging Tips, my goals for the next six months, etc.). So I completely understand where you are coming from. It is such an interesting journey and there is so much to learn! Keep up the great work with this! Thank you so much! I’m looking forward to what I will have learned in a year! I really like your posts about blogging, I enjoyed reading those. It’s very interesting to see how others experience their blogging journey! Great tips! Yea the links are a big thing. Always keep them updated. Since I have affiliate links in one of my blogs, and the company decided to change the links, I had to go thru all of my posts (luckily i didn’t do that may posts) and change them (bad thing was I don’t even know how long my links were wrong!) Anyway, keep up the great work! 🙂 Have an awesome weekend!! That sounds like quite a hassle! I’m glad you figured out they were wrong. Do they not update the users when they change things? Thank you so much for your comment! I hope you have a great weekend too! They do update us, but I almost never read the emails, so that was on me, but its all good haha 🙂 And you’re very welcome!! Thank you! I love it that our family of bloggers are willing to help, point us in the right direction. No shame, no blame no guilt. OMG I love this. It helps in so many ways. Great points here. Thanks. I’ll be back to read other posts! Even with my limited experience blogging I do find that having a schedule really does, surprisingly, make a difference. Thank you for reading . I really admire your work 🙂 I have been loving my blogging schedule. I think it was one of my best decisions! Wednesdays and Thursday nights around 6 pm seem to be the best for me. I think you can ‘meet’ new people if you add in different times and perhaps keep a core posting regularly. Just my theory. I see so much on your blog that I think will really help me!!! Thanks and I look forward to returning often. Great post and nice tips, thanks. Great post! You’ve got some really great tips – especially the commenting one, something I’m still working hard at getting better at! O man, I still need to move this blog. I’m hoping to move it just before my christmas break 😀 I’m glad you did it so I at least know it is possible. Great post, thank you for sharing it! I look forward to reading part 2! Yeah, it wasn’t THAT bad. I did get stuck at one point and spent an hour on hold with BlueHost, but once I got someone my issue was fixed in 10 mins. I’m still having an issue with bad links to posts I wrote before I switched though! UGH! Good luck! Thank you so much 😀 Ohoh, I’m mostly concerned about the photos. I heard for some people they all disappear. But I’m sure I’ll be fine! I;m really glad it helped! I wish you lots of luck on your blogging journey and if you have any troubles I would be glad to help out. Your article is clearly helping many bloggers. I stumbled it! Thanks for bringing it to the Pit Stop.